The headline measure of yesterday’s plan was a promise to ban the sale of polluting and carbon intensive vehicles, in 23 years (a little later than the government’s own previously published carbon plan would suggest is necessary). Not only is this merely a restatement of existing government policy to tackle climate change, not only is there no additional money and not only does this policy have absolutely no impact on cutting emissions now (which is the actual purpose of the plan), it also isn’t actually a ban on petrol and diesel vehicles. It only applies to “conventional” petrol and diesel vehicles. So, hybrid vehicles and potentially diesel vehicles using various forms of hybrid or new technology – and even F1 cars – could be included (there is no detail on a carbon or even NOx limit that we can find). The government does have a definition of an “Ultra low emissions vehicle” – which would need to be at least partially electric. But it doesn’t state in the plan that this is the criteria cars must meet. Confused? So were we, so we called DEFRA. They understand our confusion. They are leaving it at a ban on “conventional vehicles”. Let’s just say, someone is going to need to clarify this but – right now – your non-plugin, 50MPG SUV is likely just fine. This claim isn’t made in the plan but notably wasn’t especially denied by Gove when the general gist of it was put to him on the Today programme yesterday, so we’ll include it here. First off, this isn’t actually about how much more power electric vehicles will use. They will increase power demand by about 20% according to this calculation – significantly less than power generated by offshore wind farms already slated to be built in the next 13 years. Instead, it is a stat about “peak” demand (in other words, kettles-on-during-halftime syndrome) and comes from a report by the National Grid which said up to 30GW of new generating capacity may be needed if 100% of cars go electric by 2050. Leaving aside that nobody would build nuclear plants or wind-farms to manage peak demand because that doesn’t work, at all, this is also a deliberately extreme scenario. A straw man. An “if we are total idiots” forecast. A scenario which is in nobody’s plan. If, on the other hand, ministers roll out measures to encourage demand management and smart charging – where devices and cars automatically use power when it is most available and cheapest – then the increase in peak demand could be much lower. In fact, the grid calculates, the increase could be as low as 6GW. This sounds complicated – but it isn’t. Essentially it is the notion that people will charge their cars when they charge their phones – at night – and that ministers will do what they are already doing to encourage this. Indeed we previously reported on a similar study looking at how the UK could meet 80% of power demand by 2030 from renewables. That study assumed more than 10 million electric cars on the road. Of course, electric cars and renewable electricity will change the way we run our power supply – and there will be costs to this. Which is a really interesting debate, but it has little to do with new power plants and nothing to do with air pollution, so moving on. 3) The plan is essentially a plan to ask (some) local authorities to come up with a plan. Slowly. As has been widely reported here, here and here, the new plan, much like the draft plan, notes that the quickest way to cut down on air pollution would be a wide national network of clean air zones with charging schemes – and it then fails to implement it. Instead, it asks local authorities to look at other measures first and then to submit a plan to the government, focusing on key roads. Which is odd, because the government’s own research suggests that without charging those other measures won’t really work. Mr Gove’s insistence that local authorities first look for “imaginative” alternatives to clean air zones – options which the government itself hasn’t been able to imagine, and which the rest of us might reasonably imagine are imaginary – builds at least another eight months into the wait for effective action on air pollution. Councils aren’t expected to have a final plan ready until December 2018. And Defra expects it’ll take about 3 years to implement a clean air zone. Hence, it doesn’t expect its plan to put much of a dent in the UK’s air pollution problem until 2021 – five years after the last version of its “plan” was ruled inadequate by the court. Studies have shown that a child whose lung development is impaired at the age of five will likely never catch up. Whatever your view on the merits of charging and scrappage schemes – all near-term measures dodged in the new plan – we struggle to come up with any charitable explanation for the double-speak here. The most straightforward interpretation is that ministers wish to pass the legal and political buck to local authorities in inner cities whilst delaying for long enough for (ironically) EU enforced diesel standards to bring down air pollution “naturally”. The decision of past politicians to shirk tough choices and hope that improvements in vehicle technology will fix the UK’s pollution problem is, of course, what got us into this mess in the first place – still breaching legal NO2 limits across the country, eight years after they came into force. Because it’s so slow it’s also worth noting that there are dozens of councils expected to have breaches of NO2 limits for the next three or four years that won’t even be required to consider new options. This appears to be because Defra thinks reductions in car emissions will fix the problem before councils would be able to take more-aggressive action. 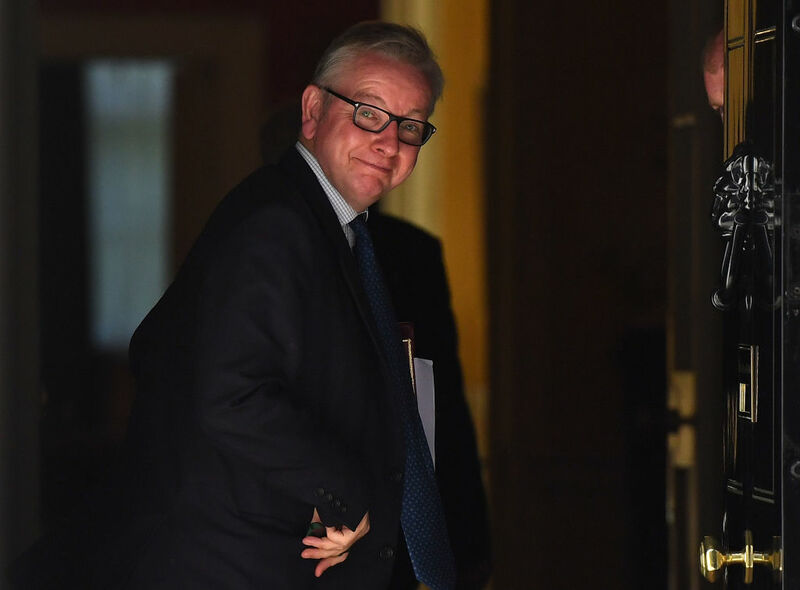 Let’s hope, for the sake of children living in places like Bradford, Plymouth, and Stoke-on-Trent, that Mr Gove’s confidence in EU vehicle regulation and the car industry is more justifiable than past experience might suggest. In the meantime the government’s insistence on targeting roads rather than areas comes with two obvious problems. First, the government may not have modelled every road, and indeed it’s unlikely they have. That means areas may be exempted from the plan that shouldn’t be. Second simply forcing vans and SUV’s off major roads and into quiet, residential backstreets can have… problems. Indeed some of these had already come up in context of the (relatively big) clean air zones. “It’s very easy to say well, we’ll have a clean air zone in the middle of the city, but as soon as you have [that] what happens on the margins of that clean air zone? You may get displacement of polluting vehicles to the outsides of those clean air zones,” warned Chris Griffiths, co-director of the Asthma UK centre for applied research earlier this year. So rather than limiting pollution the plan may, instead, simply move it closer to the families and children they are trying to protect. Gove’s plan actually admits that emissions, in the short term, will be worse than the government was anticipating even two months ago. That’s because the government has reluctantly updated it’s modelling to give a more accurate picture. But still. Seriously.